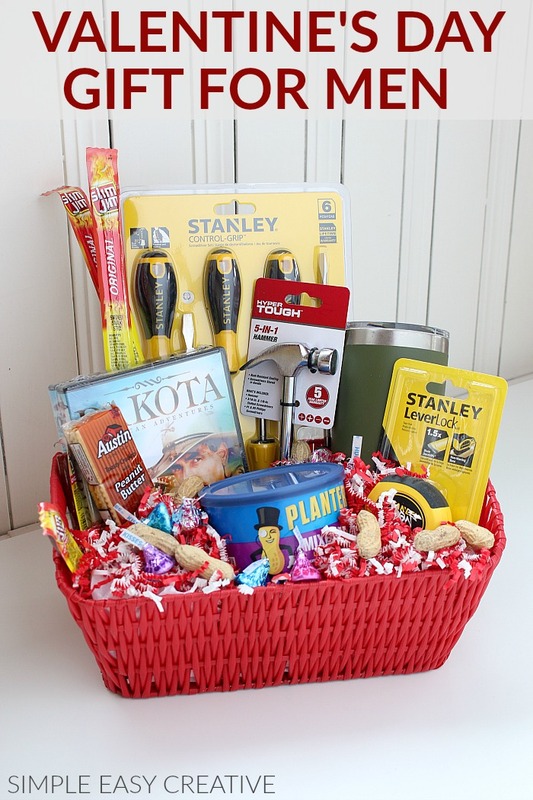 This Gift Basket for Men idea is sure to make him smile! It’s easy to put together and can be used for any occasion! 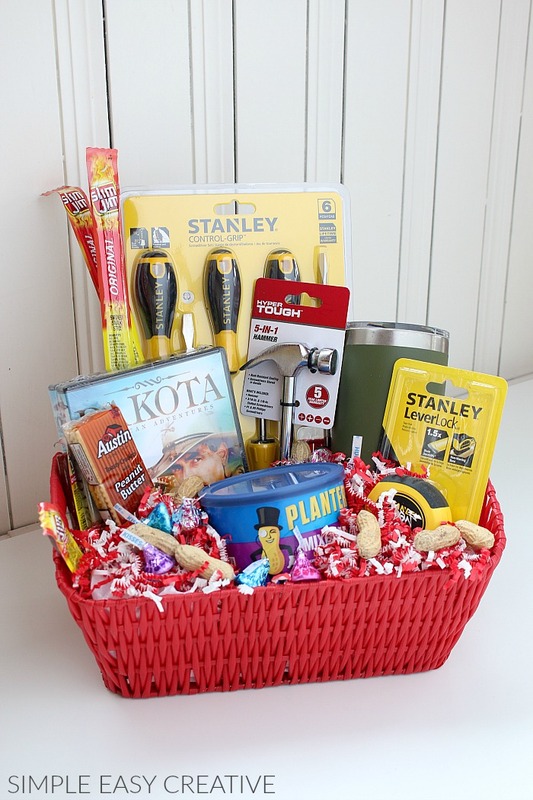 Creating Gift Baskets for my hubby and boys has been a family tradition for many years. These cute little Gift Baskets are filled with goodies for teachers, friends, neighbors or even coworkers. 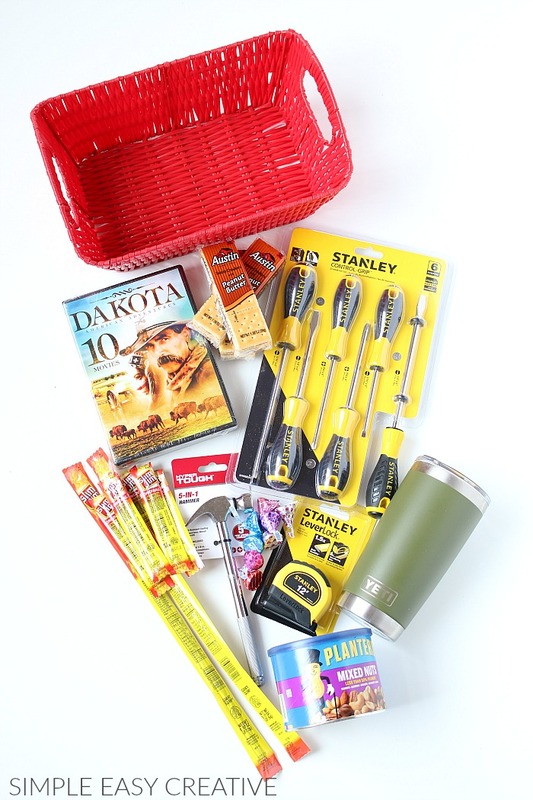 Oh, and if you are looking for more Gift Basket ideas, watch Simple Easy Creative TV LIVE, we put together baskets for Women, Men and Kids! I don’t know about you, but buying for men, especially for Valentine’s Day, is really difficult! 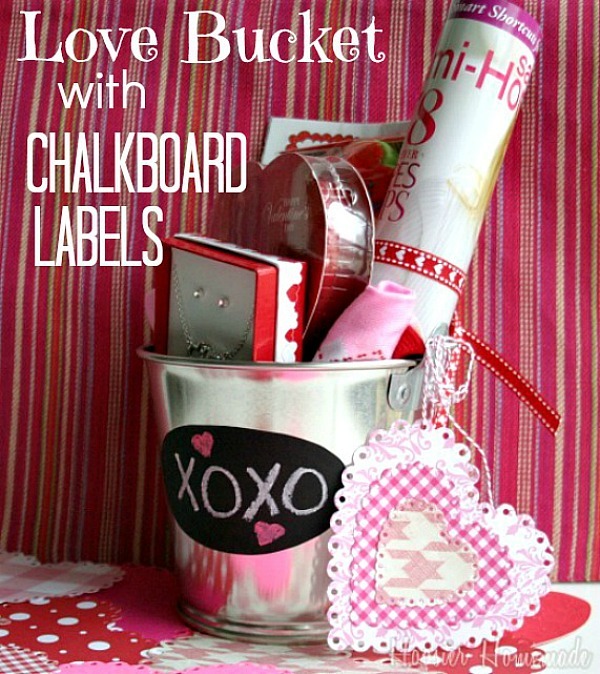 Filling a Love Bucket with items that your Man loves makes it extra special. Movie – This one has 25 movies! I lined the basket with tissue paper to give the items lift in the basket. Fill with the larger items first, then add the smaller items, fill in with peanuts and kisses. These Simple Valentine’s Day Gift Ideas can be put together in less than 5 minutes! Do you have a sports fan in your life? 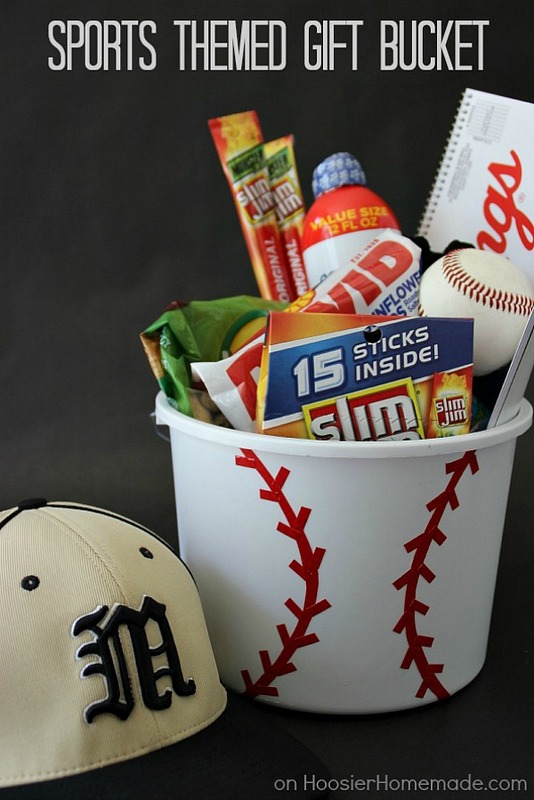 This Sports Themed Gift Bucket would be perfect. I love that these are a mix of practical and fun items- and they don’t have to cost a lot! 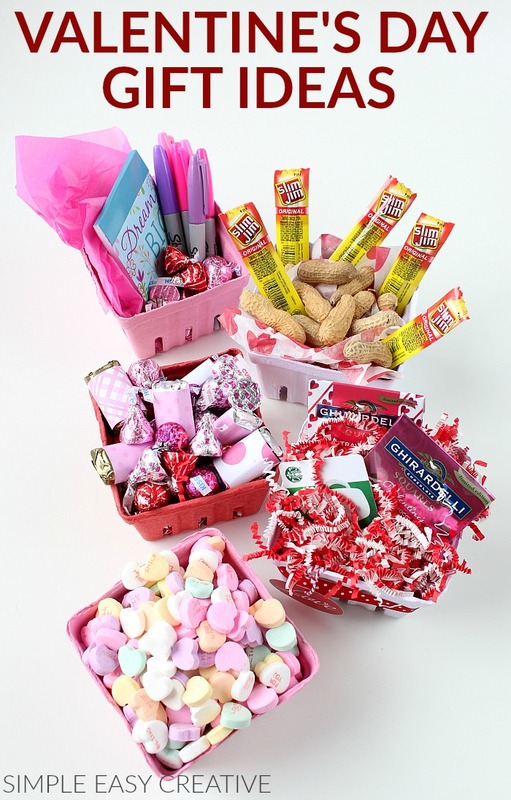 No matter what you choose to fill your Love Bucket with, I’m sure your sweetie will love it! The one of the best bucket for Love one. Very nice thoughtful collection. I think all the materials are Perfect for Valentine Gift. Big League Chew would be a nice addition for the Love Bucket for Men. It was a popular chewing gum back in the day that is cut in tobacco like strips. Cool ideas on this page. I love putting together baskets for gifts. This is not only cute, it is thoughtful and practical! And don’t get me started on chalkboard….I have a whole Pinterest page on it. I love chalkboard too, Raquel! Thanks for stopping by!